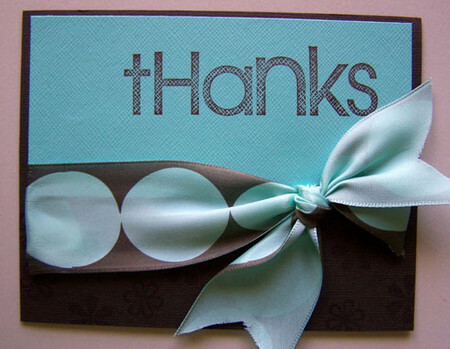 Soo...8 days without a post...my bad. Three new ones below, though! 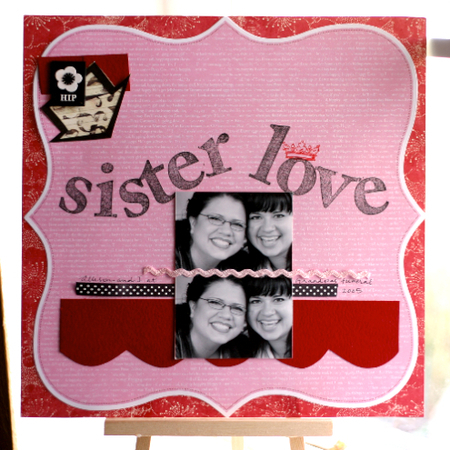 Sherry: "My oldest sister challenged my sisters and I to scrap a photoless layout. I have been wanting to get this little memory down on paper and it was the perfect opportunity. My son loves peanut butter sandwiches, but really loooooooves them on a hot dog bun. They are the perfect size for his little hands." 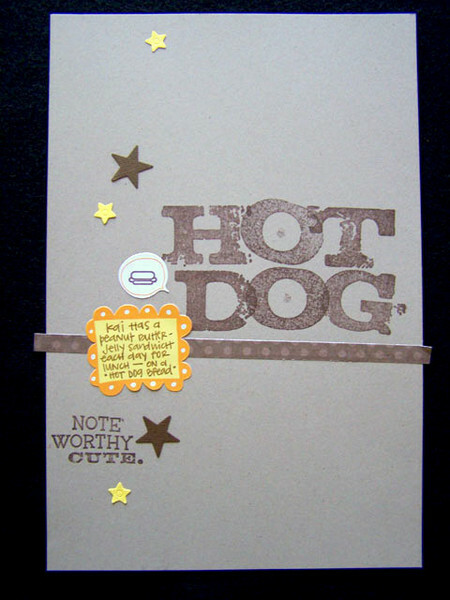 Kraft cardstock, ink: Stampin' Up! 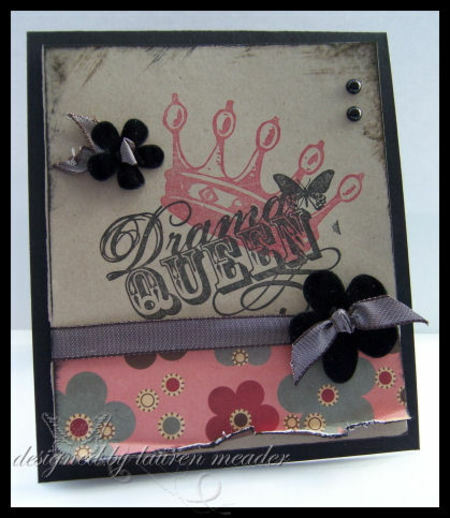 Chocolate taffeta ribbon, black brads: Stampin' Up! 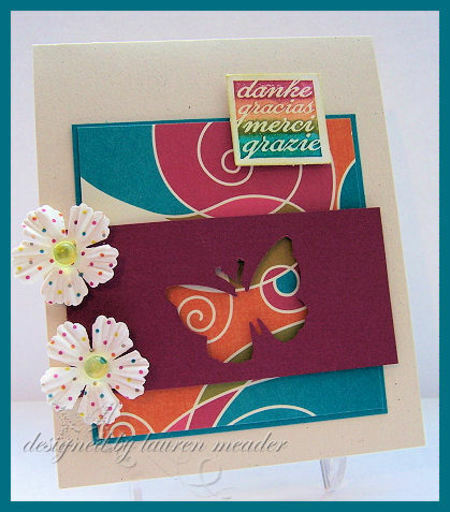 Love that stamp as a flower center! 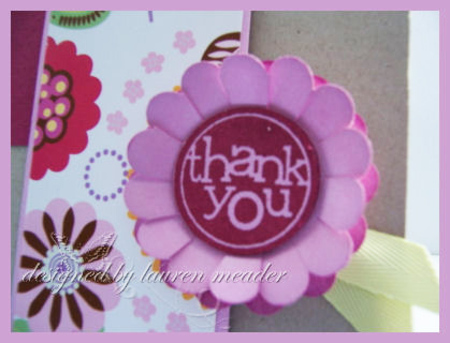 To make the flower, Lauren punched two scalloped circles from cardstock, snipped in to make the petals, then layered them.